Only one example of Mazda's special Spirit R was made to be driven on North American roads – and this is it! 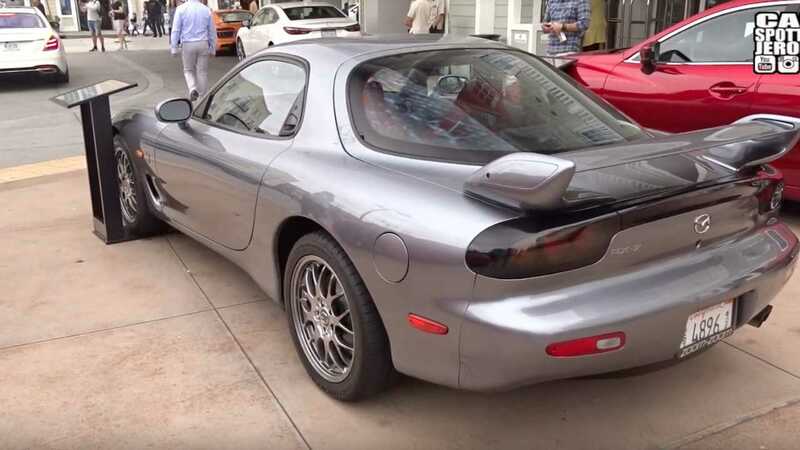 A video recently posted by Carspotter Jeroen on YouTube reminded us of a car that’s somewhat of a unicorn - the only left-hand-drive Mazda RX-7 Spirit R. The RX-7 Spirit R is one of the finest Japanese sports cars ever built, and this is the only Americanized version out there. 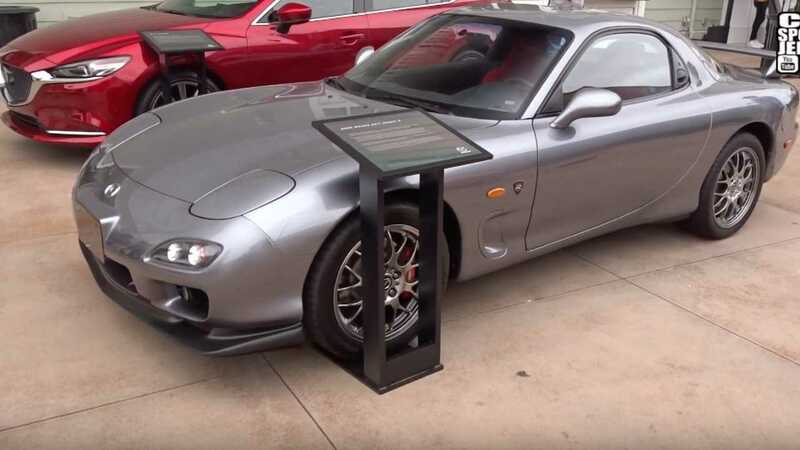 In 2002, the twin-turbo RX-7 had one final run on the Japanese market after 24 years, and Mazda threw everything it had to make it an awesome car. It was crafted with forged and staggered BBS wheels, an adjustable wing, Bilstein shocks, and the masterpiece 280PS twin-turbo rotary engine. The features put it inline to compete with the Toyota Supra and Nissan Skyline, or maybe positioned (ever so) slightly below. Not only does it have a nice little powertrain and suspension, it’s obviously quite the looker. The body lines of this lightweight Japanese work of art make it an achingly beautiful car. The Spirit R would only appear on 1500 cars, and of those, two-thirds were made as Spec A versions. But of those, only one was made with the steering wheel on the left. This special Spirit R LHD was built specially for Mazda North America senior VP Robert Davis. 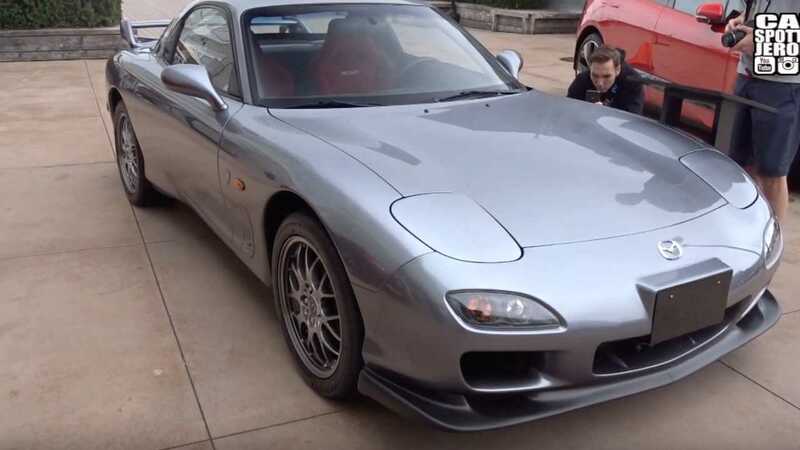 While this car has a lot going for it, you’ve got to wonder if the limited run of the RX-7 in the United States, and non-existent availability of the special Spirit R, only adds to the appeal to the appeal of the import sports car. After trying to trace the history of the left-hand-drive Spirit R since it went home with Davis, it’s not exactly clear if he really put many miles on the car, or if he kept it in his personal collection. While it’s been the subject of several test drives and reviews, it would seem that it spends its days on display now, judging by the video.